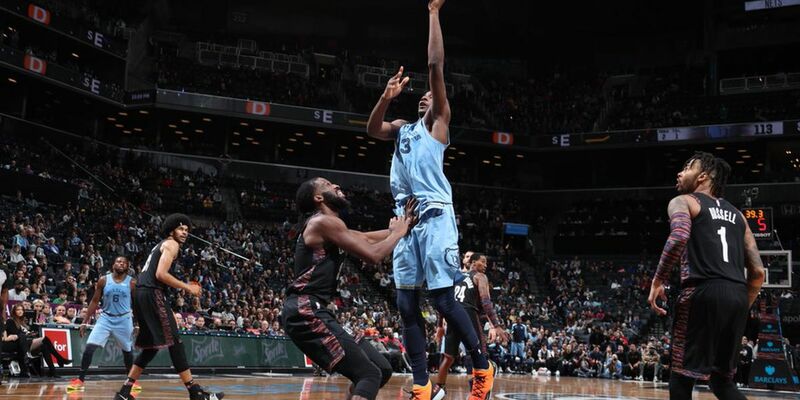 BROOKLYN, NY (WMC) - The Grizzlies were on the road Friday night, facing off against the Brooklyn Nets. Two-time All-Star Joakim Noah is expected to get to Memphis next week, so he wasn’t with the team for the game. The Grizz front court is looking pretty good right now, though, thanks to rookie Jaren Jackson Jr., who scored 15 points in the first half. Most of those came in the first quarter, giving the Grizz a hot start. Jackson would finish the game with a career high of 36 points. It was tied 58 all at the half. Mike Conley had a huge night as well and finished with 37 points and 10 assists. Marc Gasol didn't score too much in the second half, but Big Spain was a monster on the boards, finishing with 15 points and 15 rebounds. The game went to double overtime, but the Grizzlies pulled out a 131-125 win.